It’s been a while since we’ve written about any of the nightlife in Leeds. And so with a new year we decided it was time to buck up and find out more about some of the many unique nightspots the city has to offer. 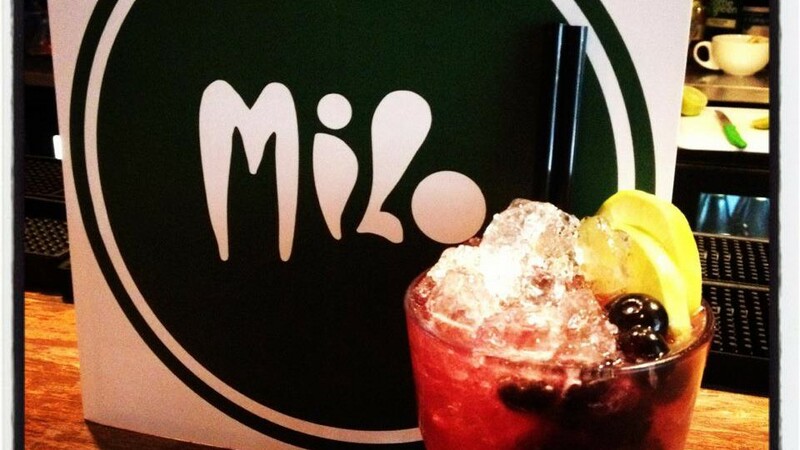 Milo has been around for about 15 years and is one of the mainstays of the cafe-bar revolution in Leeds. Situated quietly at the top Call Lane, it’s seen many of its competitors come and go, and offers something more friendly and less chaotic than its neighbours on the main stretch of Call Lane. I am Dave Knowlson and along with Lew Cuddy I own Milo, a cocktail bar on Call Lane. We’ve been here for just over 4 years, though it has been open since about 1997 when the first wave of cafe-bars opened like Mojo, Oporto and North Bar. It’s seen the likes of The Cribs, Kaiser Chiefs, Long Blondes, 10000Things play here as well as Ricky Wilson, Paloma Faith, John Newman and Sam Riley from Control and On the Road as barstaff! What can customers expect from Milo? Friendly staff, a laid back atmosphere, great music, and fantastic drinks. Milo is really a team effort. We are friends, we all get on and have an understanding of what the place should be in terms of vibe, music, drinks and service. What do you offer that other places in Leeds dont? We are all big lovers of music, drinking and a good time, so we should be experts at selling that back to people! We’re always hosting lots of great live music too, we try and offer a variety of genres rather than just sticking to a formula, so even if you’ve never been for a drink here you could try it and find something you love. Rumour has it that Liv Tyler used to drink at your place and her son is called Milo – is that just a coincidence?! Whats your most popular drink? Since the new cocktail menu got printed at the beginning of summer, they have been flying out. We’ve tried to make sure there’s something for everyone and prices are 5.50-6.50. You can get 2 for 10 on a Wednesday too! Whats your favourite drink that you serve? It’s always had a strong independent bar scene with a good sense of community. All the bar staff all kind of know each other and everyone generally has a were in this together attitude. Its similar with independent retail too. This doesnt really happen anywhere else, maybe in pockets of London where people who used to work in Leeds have moved to. Also the city centre is quite compact, you can get from bar to bar and area to area really quickly compared to somewhere like Manchester which is really spread out. Mojo will always have a fond place in my heart as I worked there for 5 years. My very good friend Andy Turners new bar Wax Bar is a winner, Baby Jupiter is a lovely little bar too. Something Ive been really happy to see over the last few years is a resurgence of good quality pubs, of which Leeds has many; Whitelocks, The Ship, The Duck & Drake and the Wrens. Milo is open 7 days a week on Call Lane.